If you are the parent of a brain-injured child, you undoubtedly want the very best for them. If you know what to do, you can be your brain-injured child’s most effective advocate. For that reason, we present this guide to ensure that you understand your rights as well as the educational rights of your TBI child. To go straight to our resources. First, you need to understand that TBI affects every child differently. Traumatic brain injury may leave one child with memory problems and another with a decided lack of emotional control. Some brain-injured kids face severe physical challenges, while other injured kids are able to move around just fine. TBI can manifest in a number of ways that may vary from day to day. TBI children suffer with different problems, depending on which part of their brain was hurt. Injuries to the left side of the brain can affect speech and analytical thinking. Kids with left brain injuries may have trouble spelling, writing and doing arithmetic. Right brain injuries may affect complex thought processes and non-linear creativity. 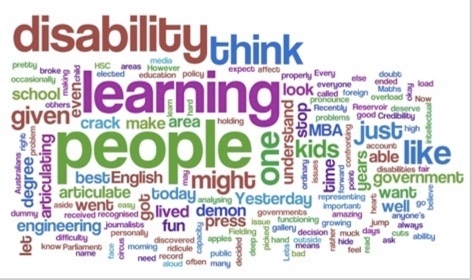 Many, if not most, kids with brain injuries are able to learn. They may require extra attention and specialized classes, but they can thrive and learn with the help of patient adults. It is important for parents and caretakers to understand that unless brain-injured students have a compassionate and skilled team standing behind them, they are not likely to achieve the most optimal outcome. With proper education, your kid can achieve their best. The Individuals with Disabilities Education Act (IDEA) is in place to protect disabled Americans. Called the Education for All Handicapped Children Act when it was first enacted in the 1970s, it is legislation meant to protect the rights of disabled kids and to give parents a say in their child’s education. When the IDEA was reauthorized in 1990, a new special education classification was added. It has to do specifically with traumatically brain-injured children. 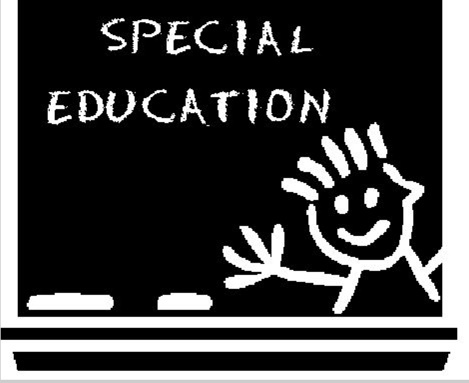 Special Education classification is important. It may protect your child. Not all school systems classify kids as eligible for special education the same way. Some school systems in the United States only offer special education classes to children who show obvious brain injuries, and only when those injuries are the result of trauma. Some schools only classify a brain-injured child if their condition presents an obvious handicap such as physical limitations or impeded speech. Some children who can walk and talk, yet still experience limited ability to perform activities of daily living due to TBI, may not be offered special education or adaptive classes. This means that kids with certain TBI brain injuries may not be referred to the educational services they need, unless they have a responsible adult to advocate for them. Fortunately, there are laws in place that guarantee all American kids, including those with traumatic brain injury, the right to a free and appropriate education. The IDEA increases awareness and compliance among public school systems throughout the nation. Since its enactment, more TBI kids receive the special education services they deserve. The IDEA helps a lot of kids. It can help your TBI child, too. There are two basic steps to obtaining an Individualized Education Program, or IEP, for your brain-injured child. The first is an evaluation, the second is the decision. As the parent of a brain-injured child, you have the right to request an IEP evaluation. Talk to your child’s teacher and ask them what they notice about the way your child learns. Chances are they are as concerned as you are, and will be willing to help you request an IEP evaluation from your local school system. You can also request an IEP evaluation by writing a letter to the school. Psychologists, counselors and medical professionals may also request an IEP evaluation on behalf of a struggling TBI child. A parent or legal guardian must give permission before the evaluation can begin. In most cases, an IEP evaluation is completed within 60 days of request. Your child may be observed in the classroom as part of a comprehensive IEP evaluation. They may be interviewed by a school psychologist. An IEP evaluation is not a single test, but a series of steps designed to accurately determine if your child would benefit from Special Education classes. Bear in mind that school professionals do not make medical diagnoses. If your child is not approved for an IEP, there are ways to appeal. When your TBI child enters or re-enters the educational system, you may be asked to meet with your child’s educators, counselors and therapists. It’s important that you be involved in your child’s Individualized Educational Program. Attend all meetings and make notes. Ask for copies of the plan and file them where they will be safe. Your child’s IEP is a written outline of their unique learning abilities and educational goals. The IEP will clearly state your child’s present condition. It will describe the services and support to be provided by the school. Modifications and accommodations to be provided by the school will be outlined in an annual IEP. For as long as your child receives special educational services, they will have an Individual Educational Program, or IEP. This is a requirement of federal law. When your special needs kid requires a new or updated individualized educational plan, your local school district can be your ally. You as the parent will have an equal part in planning your child’s educational progress. Your permission will be required before any changes can be made to an existing IEP. Every year, the IEP will note when and how your child’s progress will be assessed. High school age kids will receive transitional planning to prepare them for life after high school. If you disagree with any part of the IEP, you can appeal. Most high school kids, even those with traumatic-brain-injury, like to feel that they have some control over their own lives. Participating in their own advocacy can help a TBI kid along the path to independence. The Utah Parent Center offers some excellent tips for teenagers who wish to advocate for themselves. These tips can help teenagers with TBI explain their disability to others and set goals for themselves. With these tips, teenagers can share with their teachers the things that work and do not work for them as an individual. They will be able to fully participate in creating and amending their personalized educational program in ways that suit them best. American law clearly states that all children, regardless of handicap, are entitled to a free and appropriate education. The Americans with Disabilities Act (ADA) is in place to protect the rights of disabled men, women and children. Some parts of the law pertain to accessibility to schools and other public places. The IDEA is the part of the ADA that pertains to qualifying children who need special help to learn. For further information about the Americans with Disabilities Act, its amendments and how they may affect your brain-injured child, please visit the United States Department of Education.